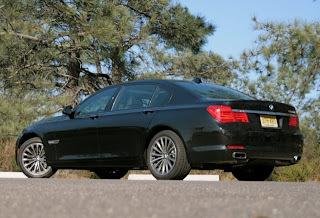 The 400-horsepower BMW 750Li has rear-wheel steering. Below 40 miles per hour, the rear wheels can turn as much as 3 degrees opposite the direction of the front wheels, thereby reducing the big car’s turning radius. I'm quite certain that somewhere right now, emotionally shattered BMW technicians are gathering in a church basement for a support group, huddled around the cookies and the coffee urn, their hands fairly vibrating with frustration. 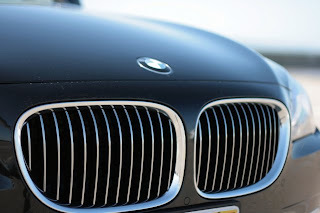 For as well deserved as is the title Ultimate Driving Machine, BMWs also have earned the reputation as the Ultimate Hangar Queen, taking up residence in dealership service bays and sending mechanics over the crumbling edge of insanity. Hello -- sob! 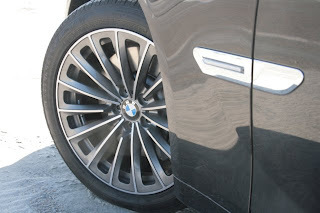 -- my name is Dieter and I'm a BMW tech . . . . Hello, Dieter, keep comin' back. . . . Yes, BMWs have middling initial quality and distinctly less-than-middling reliability -- so sayeth J.D. Power -- but people still buy them and adore them, because they are inarguably spectacular cars. 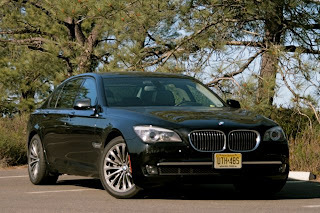 Even the BMWs that I loathe are great cars. The new 135i is uglier than a Radcliffe glee club, but it's also fierce, fervid, delicious, a bottle of Bollinger that's lost its cork. 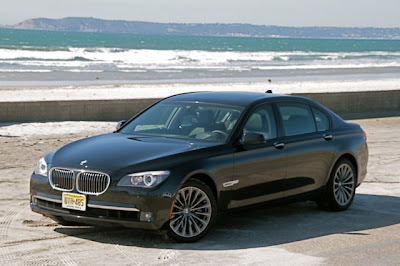 And then there's this car, the 2009 BMW 750Li, the flagship of BMW's starfleet, which might be -- one hates to draw lines in this particular sand -- the best luxury sedan in the world. Oh, sure, it could be better. It could run on the tears of disgraced CEOs or cure warts of the keister. But as an executive saloon, as a synthesis of power and grace and ease and prestige, the new 7-series demands that we reset our calipers, raise our ceilings and throw out our measuring sticks. There is now a new standard. And yet, the 750Li boldly/daringly/foolishly leverages its greatness on the fulcrum of one of the company's perennial weaknesses: electronics. This car comprises a blazing amour fou of control modules, sensors, microcontrollers, solenoids and mechatronic actuators, all wired together with the CAN-bus network from hell. 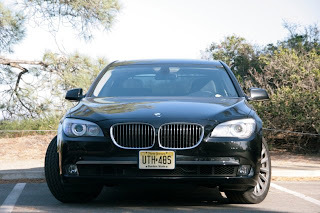 Our fully optioned $110,170 test car provides an acute example. 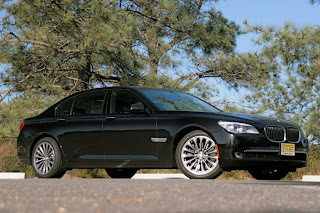 Among the systems: night vision display with enhanced pedestrian detection; active blind-spot detection; lane-departure warning; park-distance control; head-up display; adaptive headlights with high-beam "assistant"; three high-resolution cameras on the rear deck lid and front fenders. 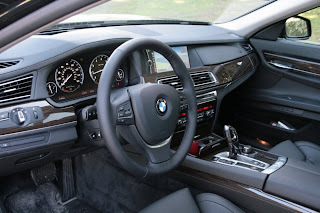 Of course, there's an 80-gigabyte, hard-drive-based navigation system, satellite radio and premium audio system; and a completely redesigned version of the multifunction iDrive controller (the previous system was nicknamed "iQuit"). My favorite? The integral active steering system, which is to say, rear-wheel steering. Below 40 miles per hour, the rear wheels can turn as much as 3 degrees opposite the direction of the front wheels, thereby reducing the big car's turning radius. Great for parking and tight city traffic. Above 40 mph, the wheels turn in phase with the front wheels to increase handling responsiveness, cornering and agility. Does integral active steering perform as advertised? Has Hasselhoff had work? This car runs like mighty winged Pegasus, carving mountain roads and dicing switchbacks as if it were an M3 with a pituitary problem. No big car has ever had so much rail-to-rail slaloming agility, such effortless composure at the limit. It's uncanny, it's eerie, it's surreal. Indeed, the effect of all these electronics is to knit together a kind of digitized meta-reality where the surly bonds of physics have slipped a bit, a place where this enormous, heavy sedan can dance like a sports car. Think of it like the world of "The Matrix," inside of which Keanu Reeves can fly, or act. And so we arrive at the truest portrait of the 750Li: half machine, half machine code; a kinetic sculpture, partly aluminum and steel, partly a stream of zeros and ones. Wonderful, epic, historic. I really don't know. On the one hand, I'm utterly smitten by the technology. I love piloting a leather-lined spaceship with a 20-way adjustable captain's chair with heating/cooling and massage function. There are moments on the interstate at night -- when the ghostly thermal-imaging night-vision display is on, the head-up display is reading out navigation messages, the lane-departure warning system is gently reminding me to use my turn signals, and all is bathed in serene LED cabin light -- that the 750Li really feels like something that comes after the Automobile. Still, I'm nagged by doubt. All of these exotic systems, such as the head-up display (Nippon Seiki), lane-change warning (Hella) and night vision (Autoliv) come from suppliers in Japan, Germany and Sweden, respectively. 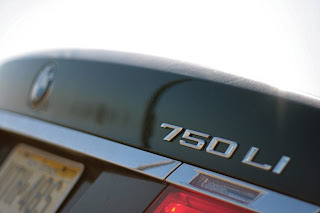 The 750Li is practically the U.N. of Tier 1 suppliers. Considering the state of global comity, a question occurs to me: Can they all get along? Bear in mind, all of this gear is overlaid on the car's, the brand's already fraught electronics: the e-throttle-equipped 4.4-liter, 400-horsepower, twin-turbocharged V8 with variable valve timing on intake and exhaust cams; the adaptive six-speed ZF transmission; the adaptive dynamics system, which itself has four distinct modes (Comfort, Normal, Sport and Sport+), which ratchet up performance thresholds for the engine, transmission, brakes, steering and stability control. The braking module governs anti-lock, traction and stability control, brake "drying," brake-fade compensation. . . . It just goes on and on. What few buyers appreciate is how difficult systems integration is on a car like this. 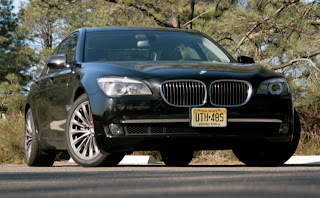 For the BMW 750Li to work, every system and subsystem has to mind-meld with the others in a cold chatter of instant, endless algorithms, faultlessly, every time, forever and ever, amen. No wonder they go buggy. 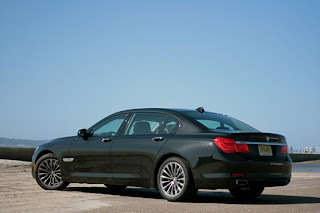 So when I say the 750Li is the best luxury sedan in the world, imagine a weather-balloon-size asterisk. I guess, as long as it starts, it is.